Summer is in full swing, and so are summer camps. 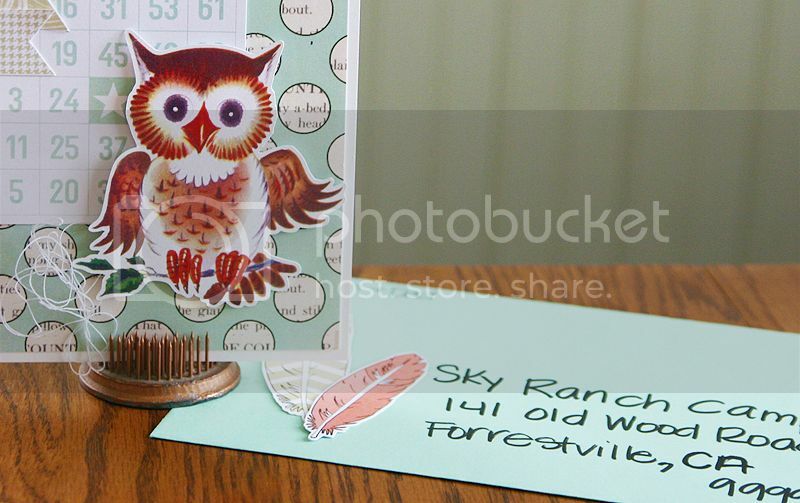 How about making a sweet little card to send to your favorite camper! The nature walk collection from Pretty Little Studio would be perfect to use with the darling owls, bears, deer and so many cute animals. A matching envelope makes it even more special! Thanks for stopping by today, I always love when you visit! Your card is so pretty ! Adorable Mary Ann!! Love that cute little owl! You're killing me with cuteness!